Select a size Newborn/Baby 1 y.o. 2 y.o. 3-6 y.o. 7-11 y.o. 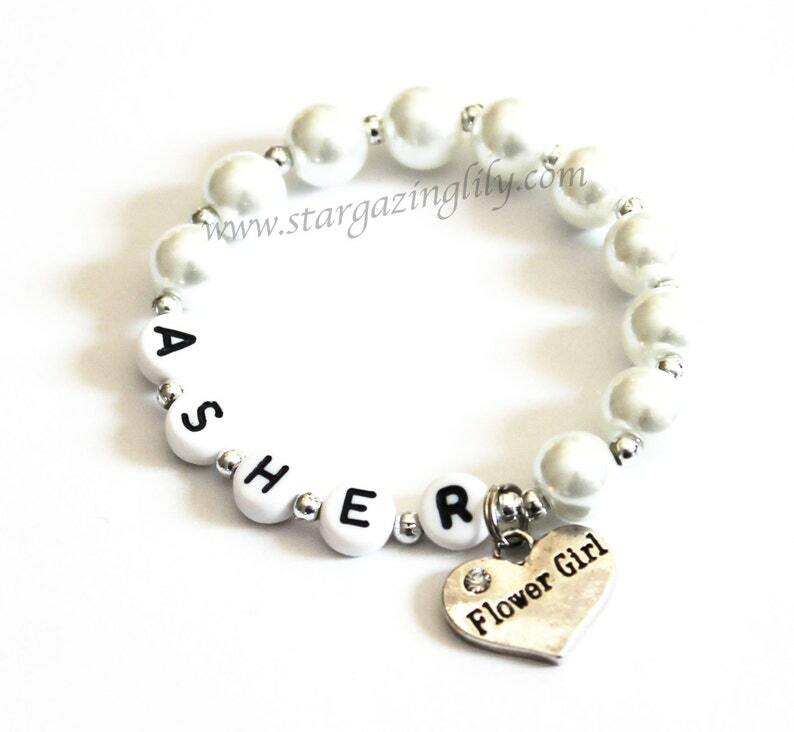 teen S/M Ladies M/L Ladies XL Ladies 8"
Personalized Flower Girl Bracelet with White Pearls and name. Comes with a Rhinestone heart charm and YOU CHOOSE the pearl COLOR. 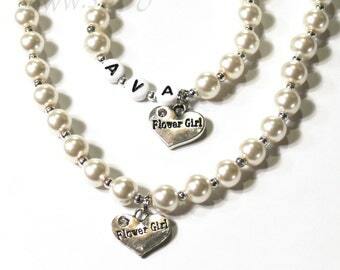 This makes a great gift for your Flower Girl. Also available with charms for Sister, Goddaughter, Bridesmaid, Best Friend, or Flower Girl as pictured. These make nice unique and quality piece that are sure to be kept and enjoyed. 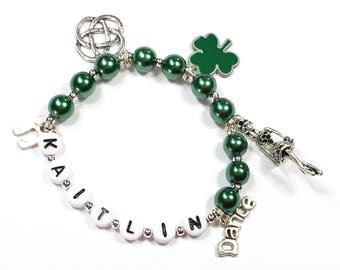 This bracelet can be personalized. ORDER INFO - IMPORTANT - Please include the following information in the "notes to seller" box at checkout for EACH bracelet desired. Need more than one? When you add the item to your cart just change the quantity desired. As long as you add everything and checkout only once the combined shipping rate will automatically calculate. Super cute gifts for my flower girls! Love them.